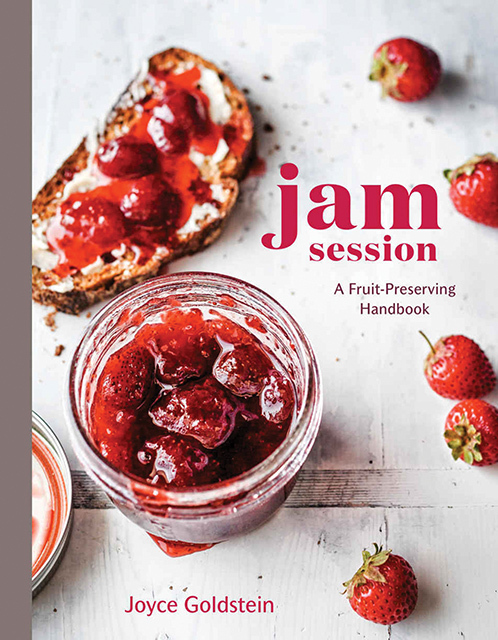 As pretty as it is instructive, Jam Session is a beautifully photographed and selective guide to making all-natural fruit preserves, organized by type of fruit and seasonal availability, with descriptions of the best varieties for preserving plus master recipes and contemporary variations for each type of fruit. Former restaurant chef/ owner, culinary historian, and master preserver Joyce Goldstein includes straightforward, no-fail instructions for canning fruit preserves, along with serving ideas for using preserves for much more than toast, including Mango-Lime Jam to elevate pork tenderloin, Pickled Peaches to perk up fried chicken, and Apricot Jam to glaze cake. Packed with ideas, 75 time-tested recipes, and gorgeous photographs of produce, process, and finished fruit preserves, preserving newcomers and veterans alike will find Goldstein’s handbook just the right amount of instruction and inspiration.